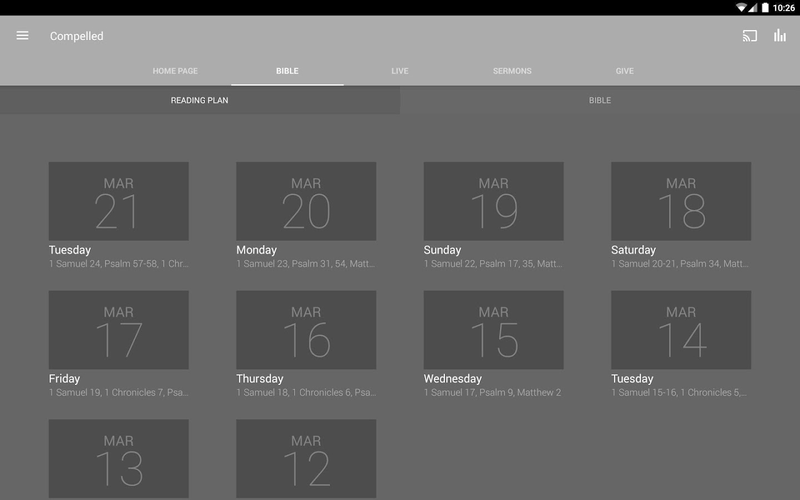 Stay Connected with the Compelled Church App!Watch or listen tosermons, stay up to date with event information and then share itall to help others see what we are up to. 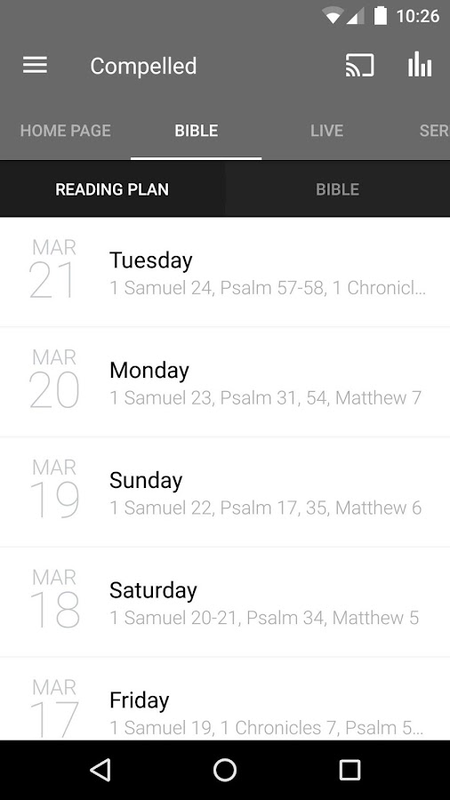 You will be able toaccess sermon notes, follow a reading plan in the in-app Bible,give online, or join a group; it’s all here. You can Join us forone of our live broadcast Saturday 6pm or Sunday 9am and 11am.Formore information please visit us at www.compelled.churchTheCompelled Church App was created with the Subsplash App Platform. The Official App for Ruach City Church connects you to a variety ofresources, including sermons, music, articles, event informationand much more.Features:Media- Hear & watch weekend sermons andteachings from our ministry- Listen to music from our worship team-Watch our service via our LIVE STREAMConnect- Get up-to-date newsand event information- Read articles and updates from our pastorsand staffMore- Get directions to one of our locationsCheck out allkinds of content that interests you. After you’ve downloaded andenjoyed the content, you can share it with your friends viaTwitter, Facebook, or email.For more information about Ruach CityChurch, please visit:http://www.ruachcitychurch.org/The Ruach CityChurch App was created with the Subsplash App Platform. Sent Church is a community of believers in Plano, Tx. 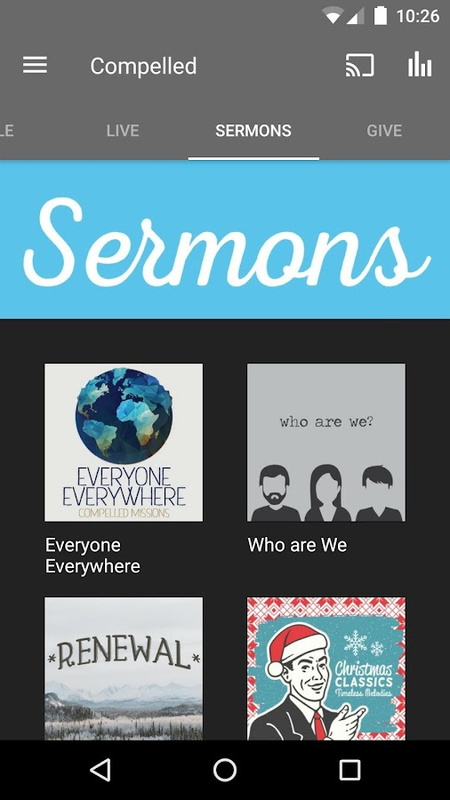 Download theSent Church app to listen or watch our weekly sermons, keep up withupcoming events and support our mission by giving online. Webelieve that we have been sent to be ambassadors of God’s love. Thename Sent Church comes from multiple places in scripture includingJohn20:21 where Jesus said “Peace be with you! As the Father hassent me, I am sending you.” In the same way that Jesus served as anambassador to the greatness and goodness of God, we want to fulfillthat role for our world as well. It’s our privilege to be amissionary for Jesus whether we have to cross an ocean or an alleyto tell someone of Jesus’ love and forgiveness. We want to equipyou to do exactly that wherever He might be sending you! 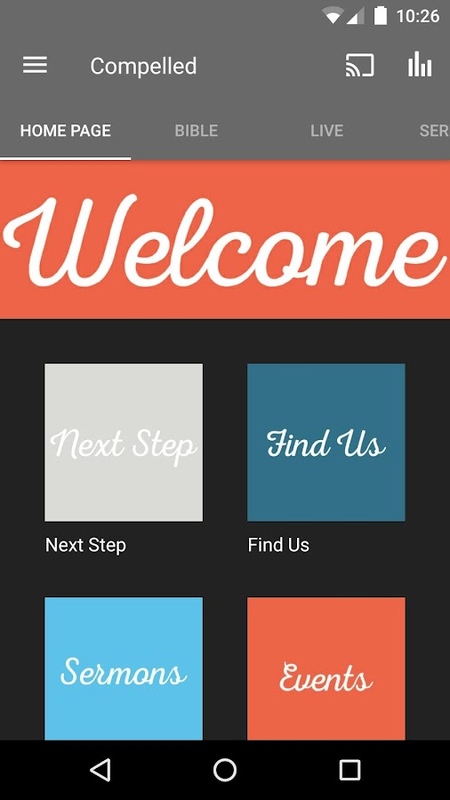 Welcome to the official West Ridge Church app! 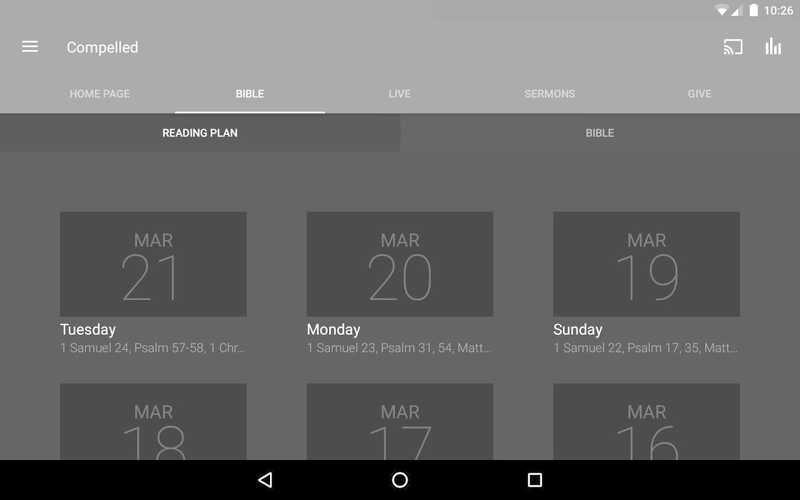 The West RidgeChurch App connects you to a variety of resources, includingsermons, notes, music, event information and more. 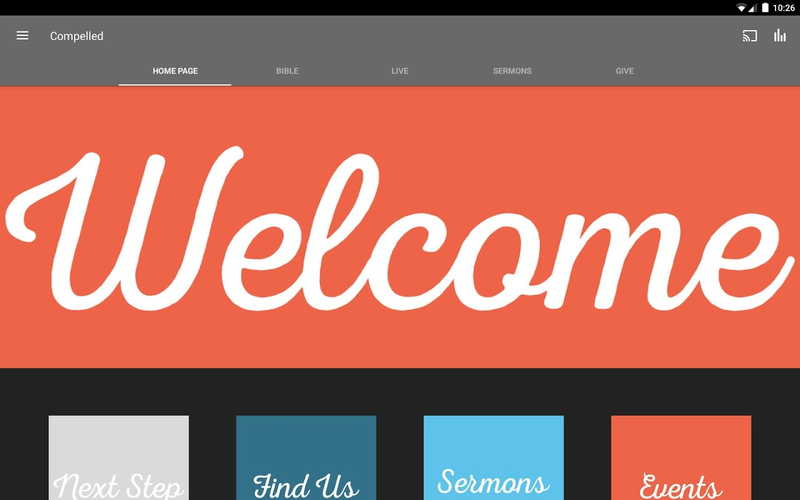 For moreinformation about West Ridge Church, visit us online atwww.westridge.com The West Ridge Church App was created with TheChurch App by Subsplash. Welcome to the official Rock Church and World Outreach Center app!Our new app gives you access to Rock Church sermons from ourteaching team, as well as the live stream, online giving, blogposts, service times, and more. 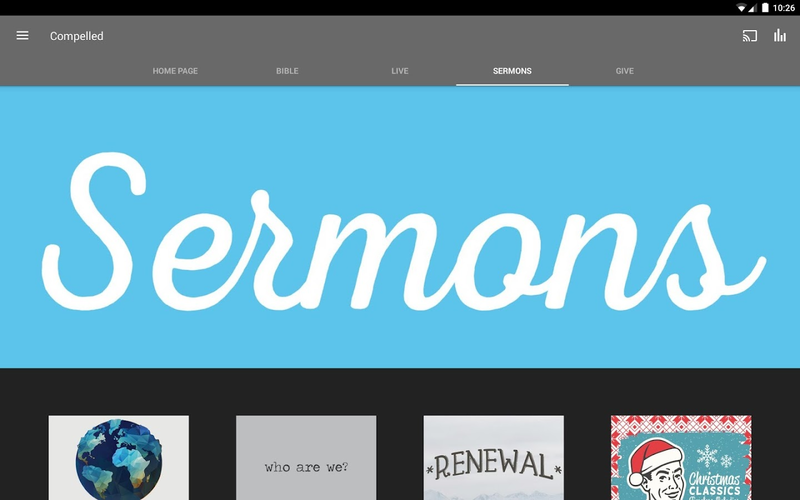 Browse current and previous SermonSeries and watch and listen on demand. For more information, pleasevisit: https://rock.church The The Rock Church App was created withthe Subsplash App Platform. 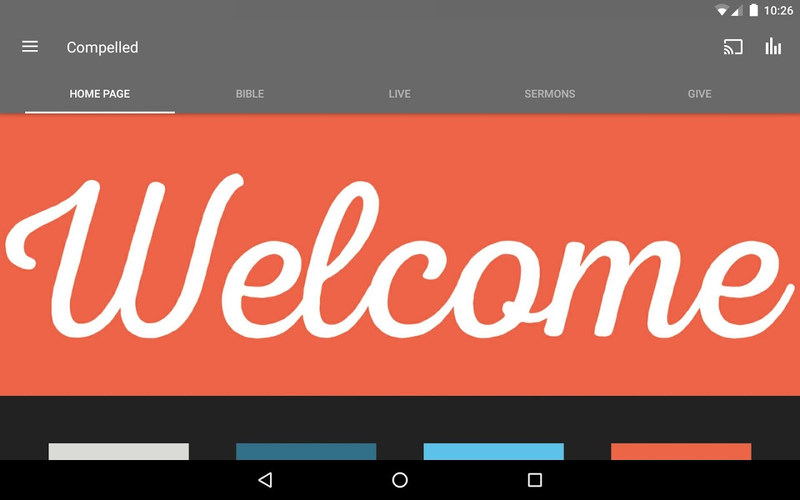 This free app puts you only a tap away from KIBC sermon videos andnotes, current events and announcements, and is a convenient way togive tithes and offerings. Keep up with the KIBC calendar, look upworship service times and church contact information, link to theKIBC website and Facebook pages, and MORE! The KIBC App was createdwith the Subsplash App Platform.